Vintage razors are THE BEST. 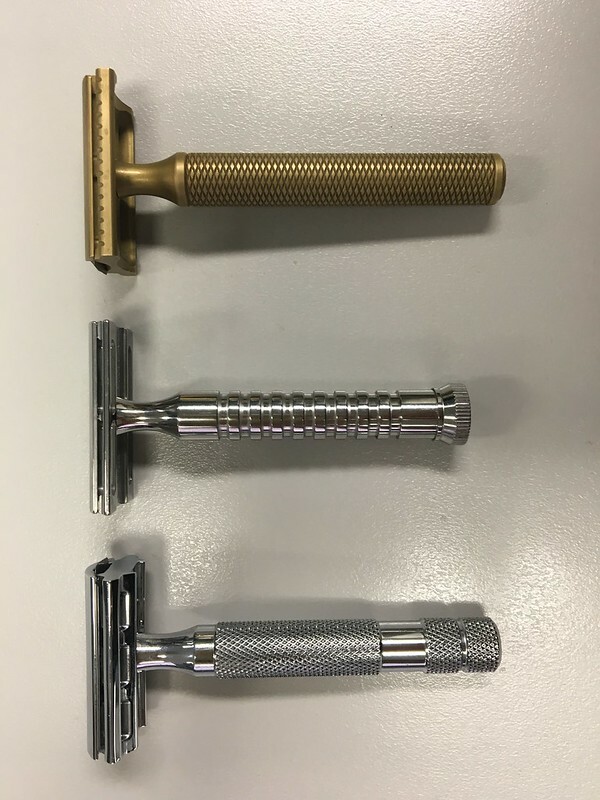 Vintages razors are to hardware what arko is to soap. 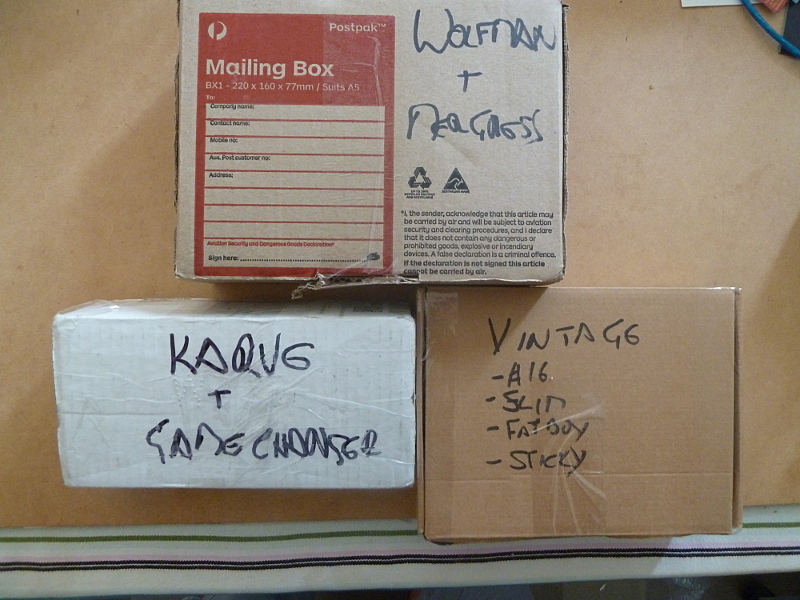 I will add my own GameChanger with BOTH Baseplates into the box as the 8th razor - how about that? Oh you are the man, lovely can't wait. 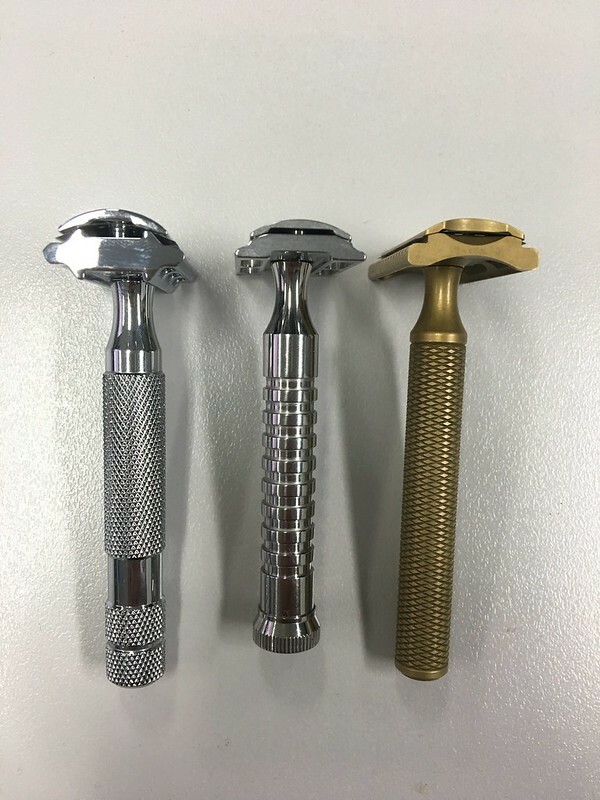 Now four new razors I can try! Not true, so many lovely pieces out there. thanks.. the feather will def help i will try that after a couple more shaves with it.. for the next couple of shaves will try have the handle closer to the face and see what happens..
2nd shave with the Game Changer, nice smooth comfortable shave but still didnt get as close as my rockwell 6C. The feel of this razor is better than the rockwell and i love the slim head on it. I reckon the GC didnt shave as well as the rockwell for me cos i believe the plate R5 is a more aggressive plate than the 0.84 plate of the GC. I will revisit this razor in a few days with a feather. I am trying to keep other variables consistent like Persona Platinum blades and The Warden soap. Reason i am using the persona is that its my go to blade, a perfect blend of sharpness and smoothness for me which is proven to work well with my Rockwell. 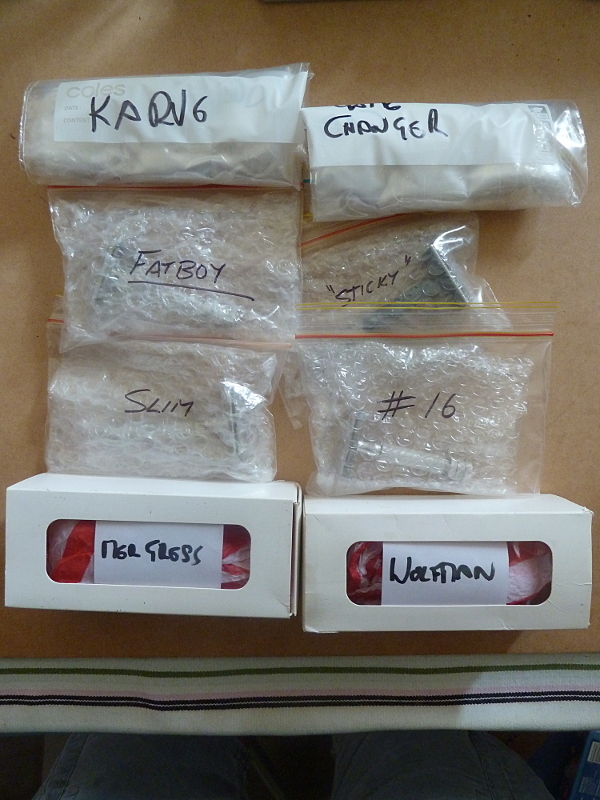 All razors i test that i like, will then be tested with a feather, which i also love and is super sharp. 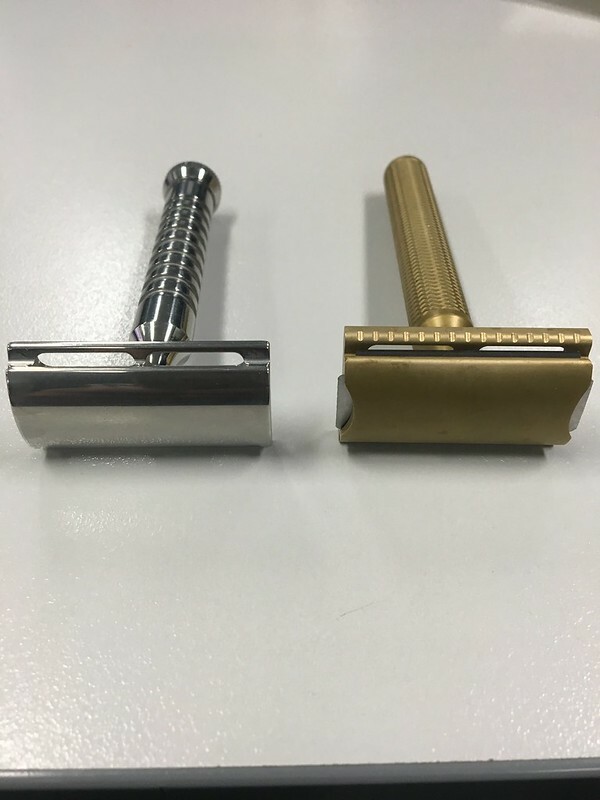 First shave with the Karve this morning.. plate D. Look is amazing, the brass look had put me off this razor but i found that in person i actually love this look... nice weight to the razor, nice feel and balance. I just found this plate a tad mild for my taste, but good to know i can get more aggressive plates. If i do purchase a Karve will still get the D plate but will go up from there another plate i reckon will be perfect. All these comments are based on shaving with the Persona Platinum but i do plan to chuck in a feather to all the razors im keen on to see the difference. 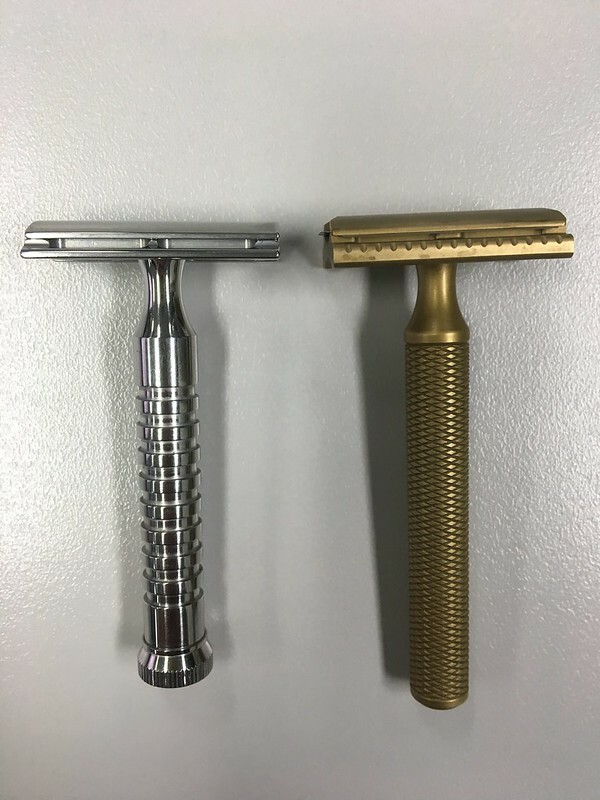 To compare with the GC.. the karve is heavier, and has a longer handle.. i personally feel i like the heavier razor. The head of the GC is slimmer, which i also like.. When it caomes to blades YMMV. I found Astra Green blades paired with the Karve works best for me. absolutely with YMMV on blades..
i decided to throw a new feather into the Karve D and wow!! 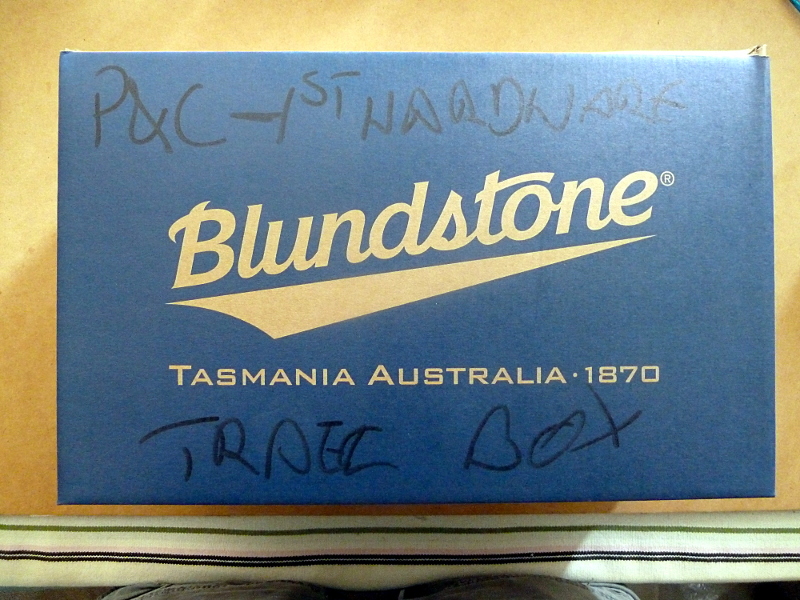 i was in a rush and still got super close to BBS, quite a difference to yday's personas in this razor. I am liking this razor a lot but will be moving to the mergress tomorrow..